This cabinet card photograph features a young father and his son. The little boy has darling curls. The photo studio that took this photograph is Cintra & Cia. The studio was located in Recife, Brazil. The city of Recife is in the state of Pernambuco which is in northeastern Brazil and on the Atlantic Ocean. The photograph is in very good condition (see scans). A handsome and well dressed young man poses for his portrait at the studio of Walter E. Chickering in Boston Massachusetts. 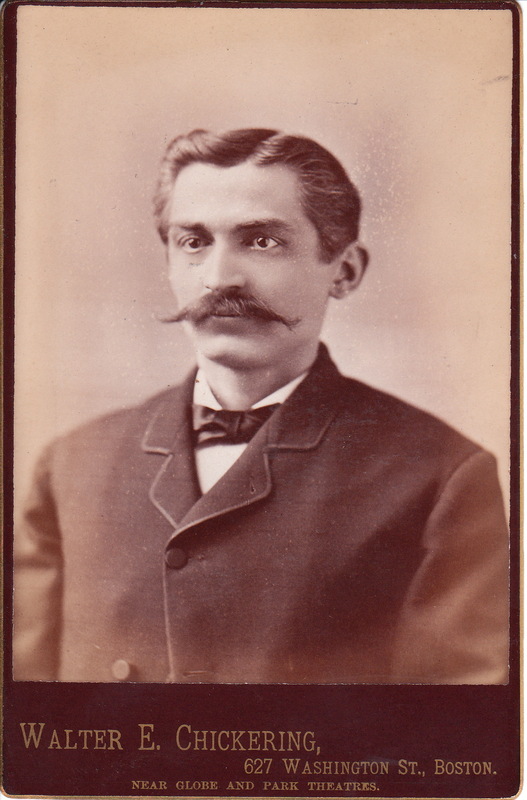 The gentleman’s hair and mustache are well groomed and his mustache takes an interesting twist at it’s ends. To view other interesting mustaches, click on the category “Mustaches (Only the Best)”. 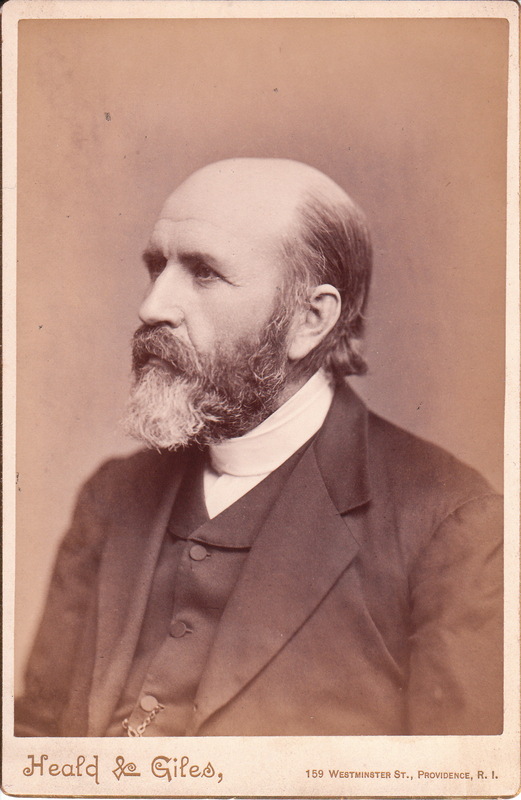 The reverse of the photograph has a back mark that includes the statement, “Walter E. Chickering, The Original Photographer, of that Name”. These words were a written swipe at photographer, Elmer Chickering, who was also based in Boston. Elmer was a highly acclaimed celebrity photographer who Walter clearly perceived as a threat to his business. To learn more about both Walter and Elmer Chickering, click on the category “Photographer: Chickering, W.”. This cabinet card portrait is in very good condition (see scans). 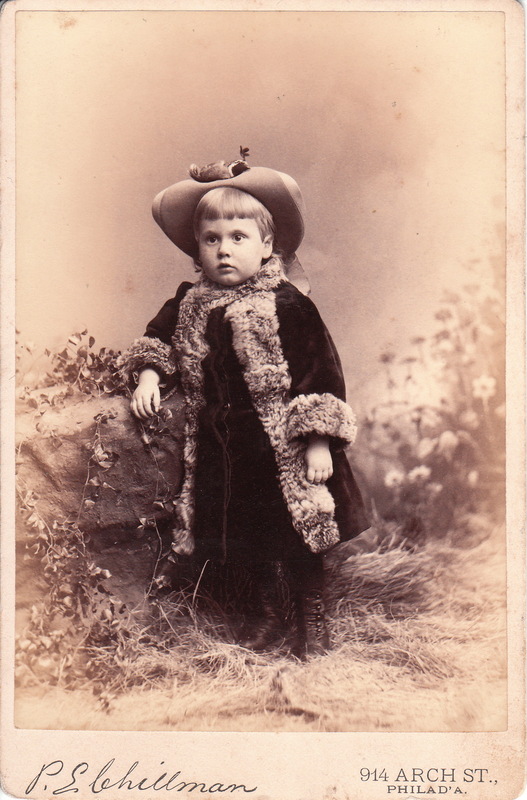 P. E. Chillman of Philadelphia, Pennsylvania produced this cabinet card photograph of a young child dressed in a winter coat. The child is wearing a fur trimmed long coat. The photographer, Phillip E. Chillman’s obituary appears in the Bulletin of Photography (1915). Chillman died in 1915 at the age of 73. He was a pioneer of photography in Philadelphia. He opened his studio on Arch Street in the early 1860’s. He held many photography patents. During his 15 year retirement he took up and excelled at water coloring. His work was exhibited at Pennsylvania, New York City, and Boston exhibitions. This cabinet card portrait is in very good condition (see scans).